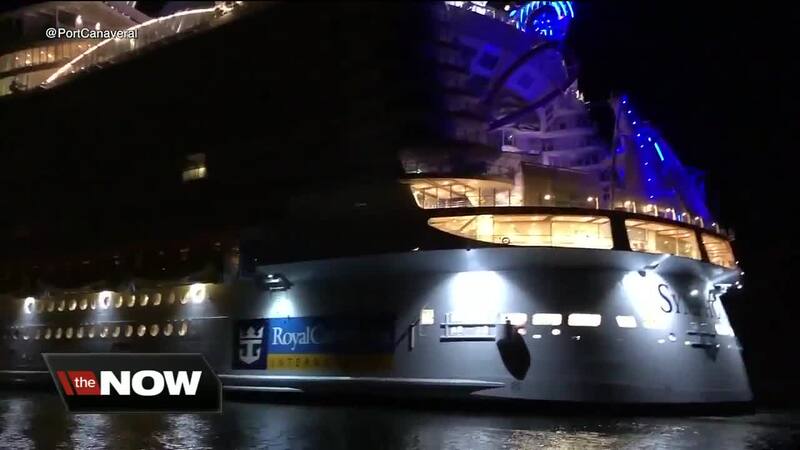 The largest cruise ship in the world is now docked in Florida. Royal Caribbean's Symphony of the Seas made its first US stop at Port Canaveral early Thursday morning. On Friday the ship will arrive at its home in Miami. Symphony of the Seas is 1,184 feet long and can hold 6,680 passengers and 2,200 crew members. Among the activities on the ship are the Flowrider, zip line, laser tag, rock wall, water slides, escape room, an aquatheater, ice skating, shows, pools, a solarium, a splash park, bars, restaurants, an arcade, a live orchestra, outdoor movie nights, mini golf and a carousel. The ship will be housed in Miami. To book your cruise, click here .